When you hear the word "toxic," are you filled with the warm fuzzies? Certainly not. When you hear the word, you think of poison. Maliciousness. Harm. But guess what? If you're in the workplace, you're probably exposed to toxicity not through some chemicals or bad water -- but because of the person sitting in the next cubicle. A new study released today by Fierce, Inc. finds that there are toxic people in workplace, and they're causing a lot of harm. But instead of complaining about such people -- as we would if our drinking supply became toxic -- we are silent, the survey finds. The fallout from these toxic employees, who are described at lazy, negative and unsatisfied with their jobs, is that that increase the stress of their colleagues. They hurt morale, decrease productivity and negatively impact the quality of the work. Women feel the effects even more than men and are more likely to leave a job because of toxic co-workers, the survey finds. 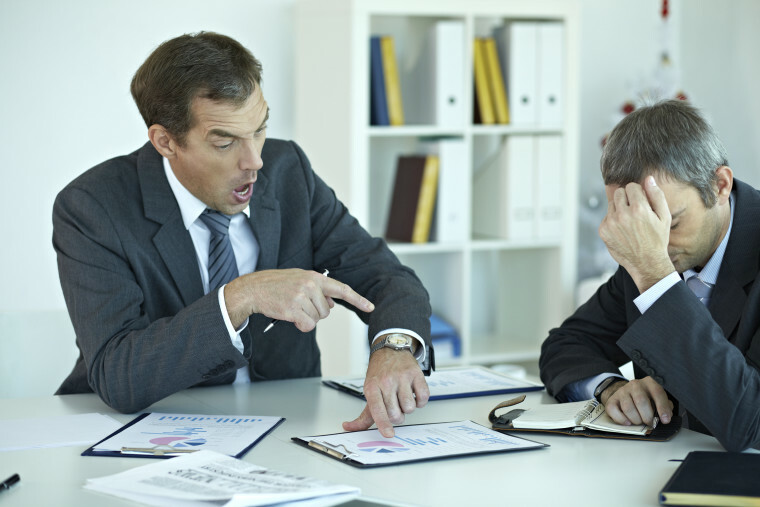 The survey also finds that less than one in five believe that a toxic colleague will change if confronted. However, that could change if more workers were trained to have better confrontation skills, says Stacey Engle, executive vice president at Fierce, Inc.
"A successful confrontation will leave both parties feeling like the relationship has been enriched and issues have been resolved. Without the skills to confront, it’s not surprising that employees don’t feel like the tactic is successful, and in turn are less likely to try to improve the situation. This cycle can be the downfall of a good team, or even organization if not addressed," Engle says. Two Words to Save Your Career: "I'm Sorry"
Is Your Vocabulary Holding You Back?